Another month into our food box subscription from Marley Spoon. Some hits and misses: here is a selection of pics and general observations. After the very promising start in the first couple of weeks, the past batches of Marley Spoon dishes ranged from “meh” to “okay” to “nice”. Of the 13 dishes there unfortunately was only 1 real standout. We therefore decided to cut back the Marley Spoon deliveries to once every 2-3 weeks. 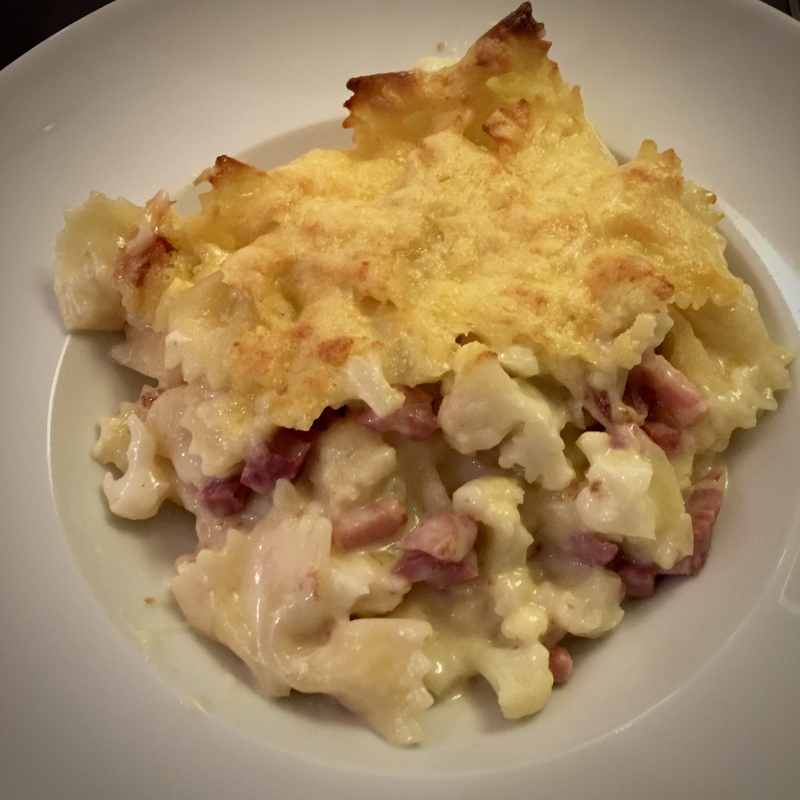 The creamy carbonara combination is obviously great, but the cauliflower didn’t add much flavour nor texture. The very large pieces of pancetta were (exceptionally) lean so unfortunately became a bit chewy. 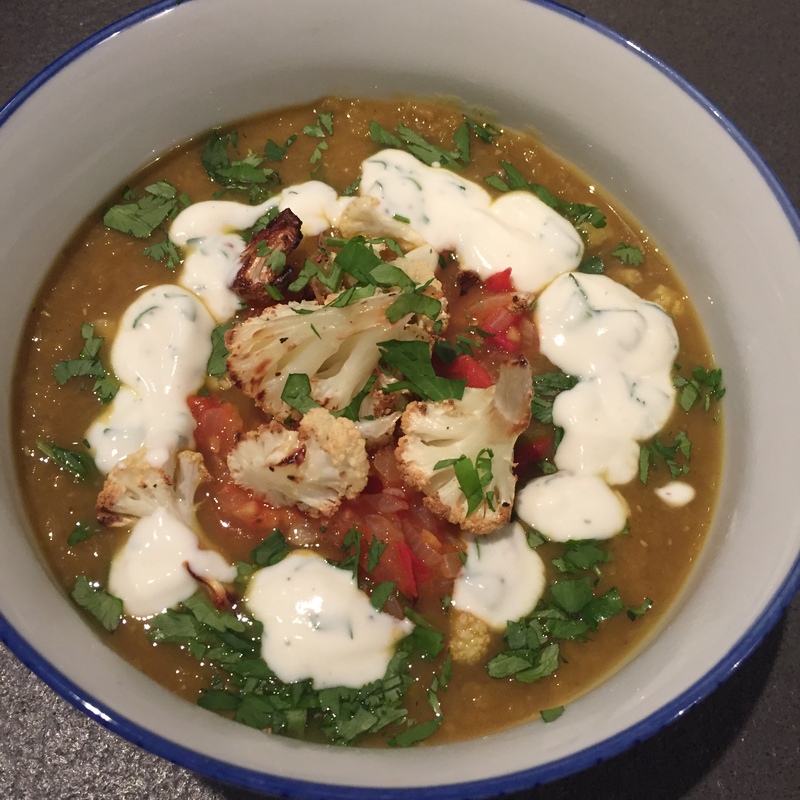 This was our favourite; a richly flavoured curry that went very well with the toppings of stewed tomato, ginger, garlic and red peppers as well as the oven-roasted cauliflower. Finished off with fresh coriander and minty yoghurt. The other Indian dish in the batch was a rather underwhelming oven-baked chicken tikka masala. Luckily, the chicken remained tender and the Hokkaido squash was a nice addition, but the seasoning was outright flat and it took ages to cook. No way near a proper alternative for a take-out Indian meal. This Moroccan recipe was a rather good one. 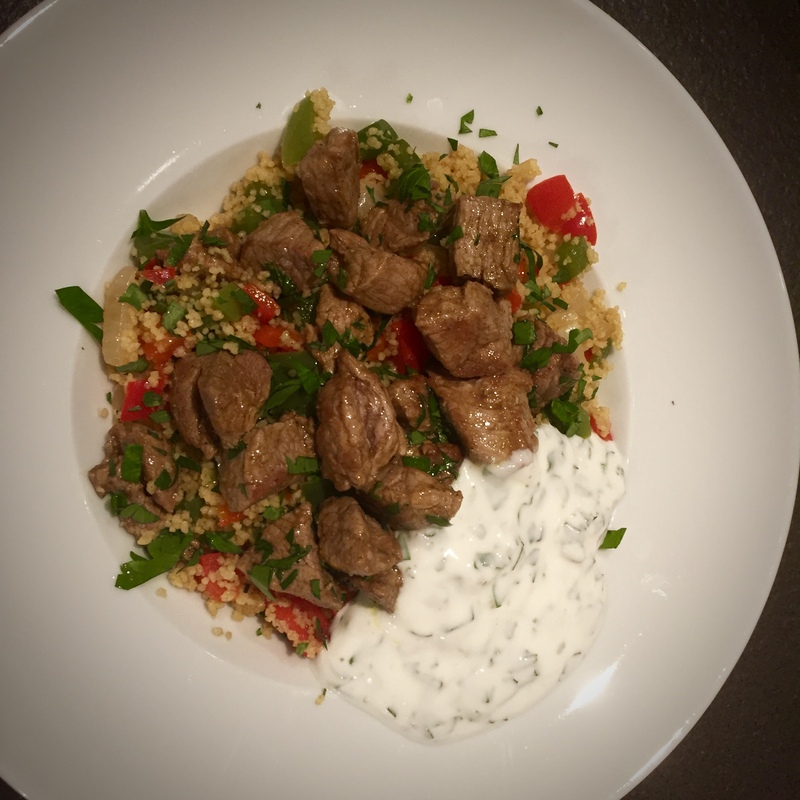 Fried diced onion, red peppers and green peppers as the main textural elements to the couscous with incredibly tender ras-el-hanout marinated lamb fillet and a parsley and mint yoghurt dip. As said, they sure do love oven roasting at Marley Spoon. 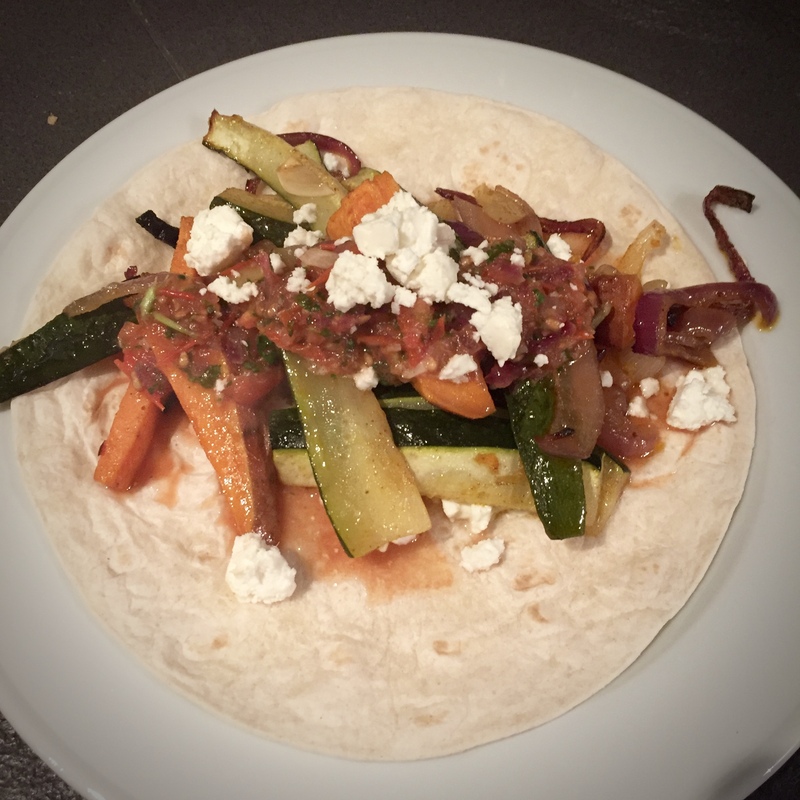 The sweet potato and courgette filling was nicely spiced. However, making the tomato salsa yourself is worth repeating. First dry roast sliced red onions, chopped garlic and cherry tomatoes in a pan until golden and then blend them together with lime juice and coriander leaves with an immersion blender and season to taste. I finished it off with a couple of dashes of tabasco to give it some extra kick. This time it was time to oven roast a broccoli covered with garlic and grated cheese. Very nice combination! 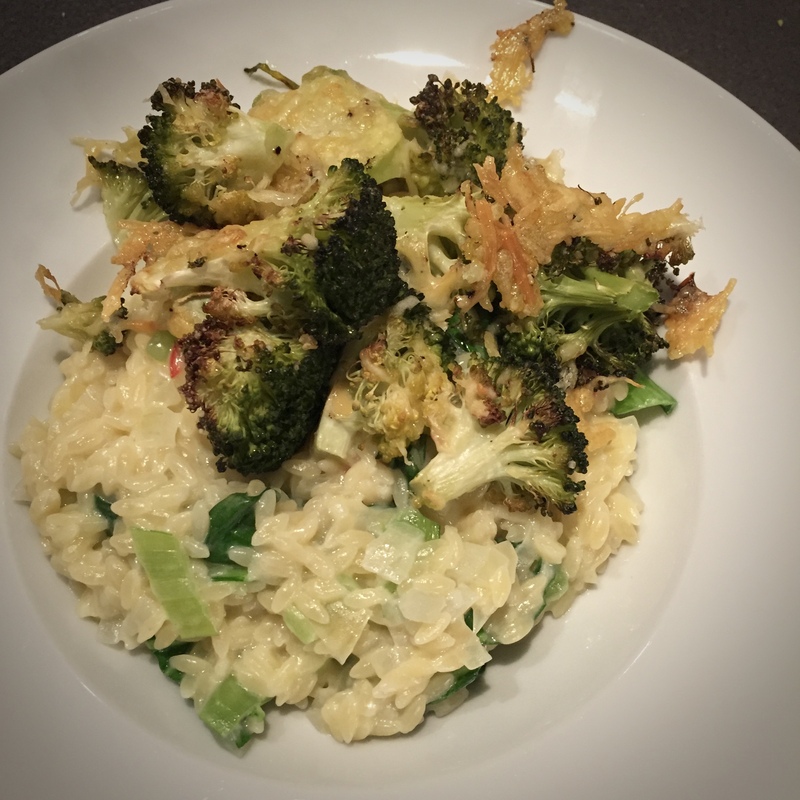 Too bad that the orzo risotto – although easy to cook – was bland. It was cooked in a mixture of milk and water. Using stock instead of water and finishing with parmesan instead of grated cheese would have been a better options for the risotto. 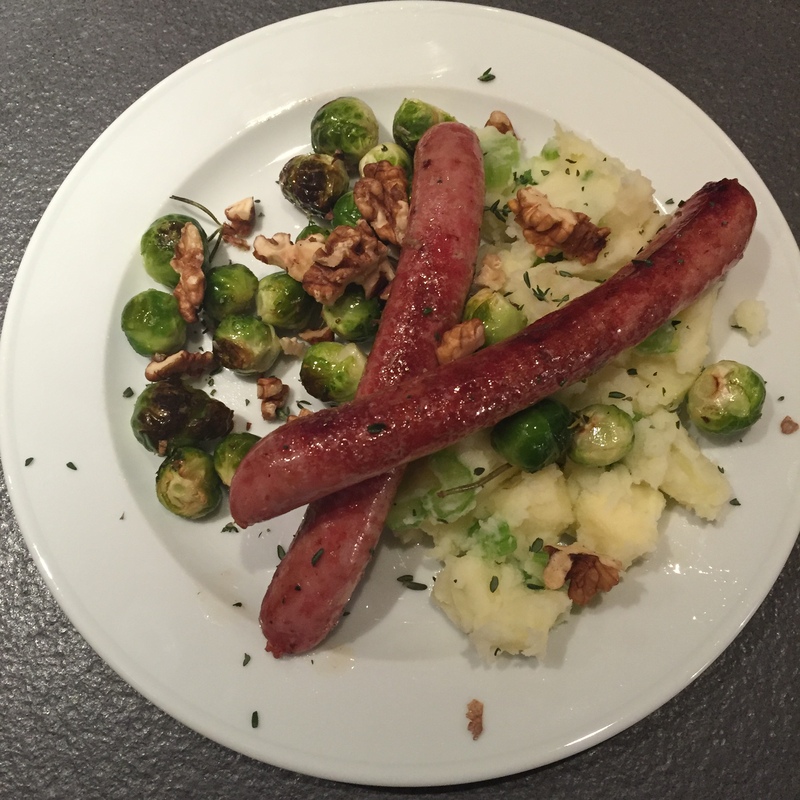 When mixed everything together, it was still okay (although that should never be the thing to aim for). 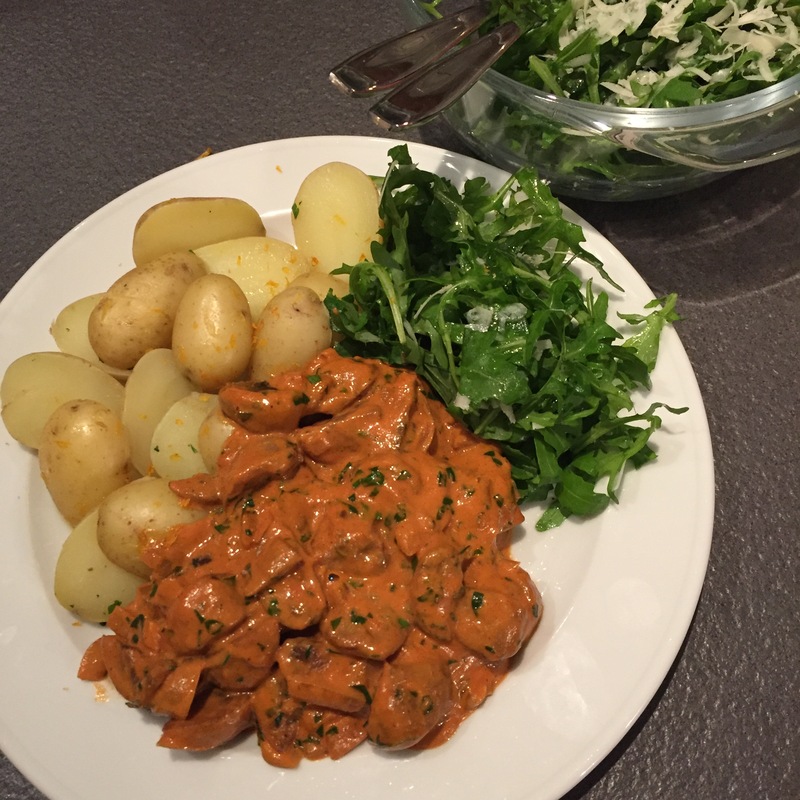 I needed to spice up the stroganoff quite a bit and therefore came out quite decent. The boiled baby potatoes were marinated in orange juice and then tossed in orange zest. It obviously tasted fresh, but we didn’t think it was worth repeating. This was a good one though. 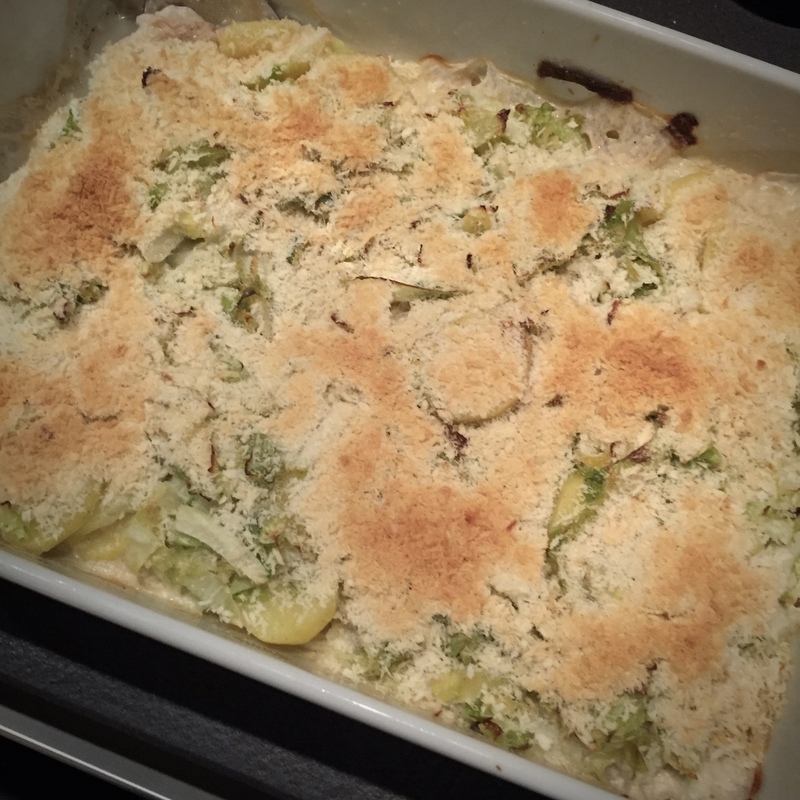 The mashed potatoes with celery and apple was great combination from a taste and textural point of view. The oven-roasted garlic and rosemary coated Brussels sprouts were even better than expected. Walnuts were quite dry though and didn’t add much to the dish. The soup itself was nice, but not really special. Pan frying croutons from a “raw” bake-off baguette was new to me, but worked nevertheless. The beef strips turned out rather chewy, as I kind of anticipated when reading through the recipe; you simply cannot expect them to stay tender after flash frying them for 2 minutes, resting for 15-20 minutes and bunging them into the soup to reheat again before serving them.